Poor baby. He felt bad after getting a shot at the Vet. Then we took him with us to our new house, which is sterile and smells of abandonment to a dog, I suspect. 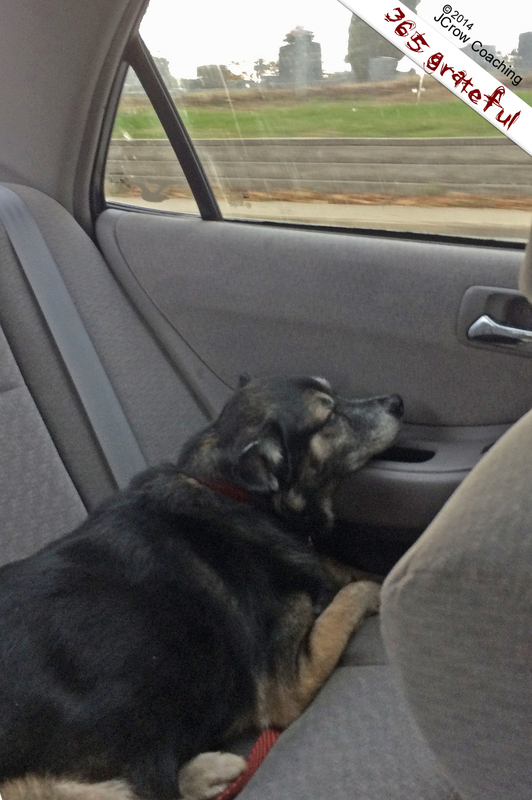 So heading home, he just placed his head on the armrest as if to say, “wake me when we get somewhere familiar.” Sometimes we forget how change affects our four-legged friends. Grateful for his very visual reminder, which has spurred us to develop a plan for moving not only us, but Data as well.